Fast and efficient road race performance the Giant TCR Advanced Pro 1 combines climbing and sprinting prowess with the all-weather stopping consistency of hydraulic disc brakes. 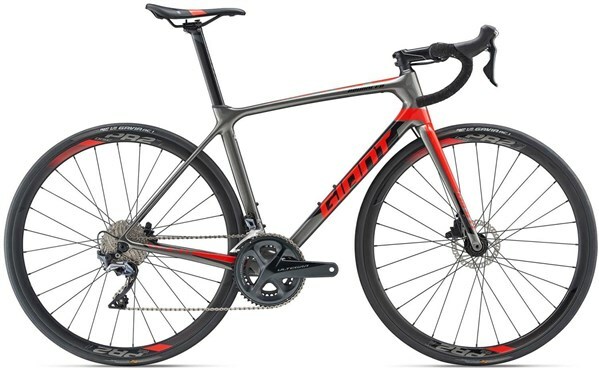 Featuring a lightweight carbon fibre composite frame, with an impressive stiffness to weight ratio, the Giant TCR Advanced 2 Disc will help you to stay ahead of the chasing pack. 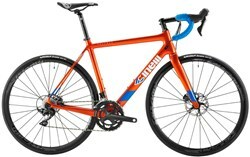 Inboxed the bike two days ago, purchased online so it was my first sight of the bike in the flesh, so to speak. Very impressed, sharp, crisp and attractive colour scheme, really stands out. 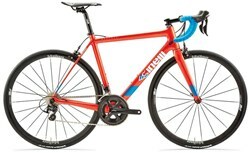 I purchased the bike to replace a damaged 2015 Defy Advanced Pro 2, so similar but different bikes. The TCR has a much more compact geometry, I also opted for a small frame size dropping down from M/L to M, it's a perfect fit for my 5'9" height. Again the tighter geometry feels more race like but comfortable and not 'slammed'. 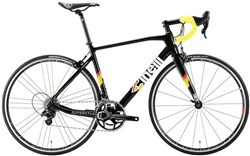 Altegra is very positive, an improvement from 105 which I found was problematic on the Defy, in fact Tiagra was better than 105 on the winter bike. Still early days but I am so far delighted with the bike, had a few reservations about tubeless, but reading up, it's going to be fine, not an issue. I am going the fit my own saddle, and 11/32 but that's common it's whatever is best for you, no reflection on the spec or the bike. The bar tape could be better, so again I might change the tape in a few weeks. Disappointed not to have received some spare sealant and applicator with the bike, it's only £10 and would have been a nice touch from Giant. I like Giant bikes, and this model does not disappoint, a good value for money, honest purchase, feeling good.